When Siemens launched the twelfth version of NX, their flagship product for CAD/CAM/CAE, it was easy to see the influence of the industry’s megatrends. Developments in systems engineering, IoT, digital twins and an expanded use of simulation software in all phases of the product development chain have all, to some extent, been integrated into new NX 12.0. In the same way, it’s also clear that increasing product complexity sets the bar even higher when it comes to integrating these capabilities. Today's products are manifesting a shift from mechanical components to a more electronic and software-dominated product Integrating and supporting these distinct and disparate areas has become the key to running a successful product creation team. Siemens is working towards a future that links silos and data islands through open formats that can carry increasingly complex product models back and forth through iterative development processes. 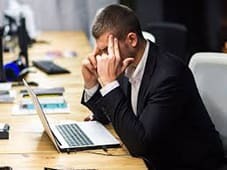 Ideally, nothing is lost due to a bad connection or error-prone manual process. The developers at Siemens NX have targeted all of this - the latest 12.0 edition comes loaded with solutions that combine mechanics, electronics, and software through integration with Mentor Graphics Capital and Xpedition portfolios for power systems, power generation and PCB (printed circuit board) design. 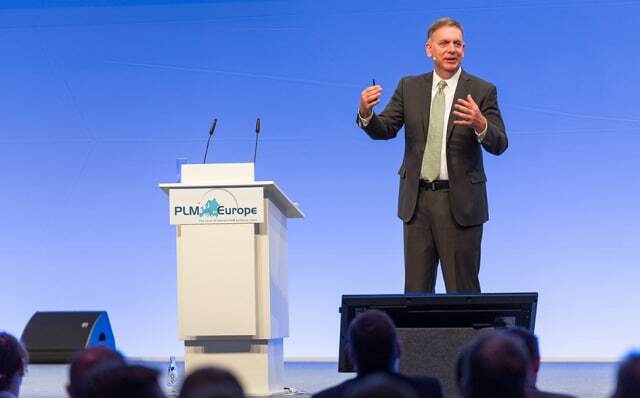 "In combination, they provide the only true multidisciplinary platform available today," said Tony Hemmelgarn, CEO of Siemens PLM Software, during the recent PLM Europe event in Berlin. REALIZING THE DIGITAL TWIN. Digitalization is changing existing business models from product-centric development and manufacturing to creating opportunities for extended value throughout the lifecycle. This increases pressure on product development, but opens up new business opportunities at the same time. IoT and digital twins are reflections of this. Basically, the "twins" are digital duplicates of a physical thing, and there are strong links to PLM. The 3D model with attached information can be used in many different scenarios, such as product development, manufacturing and in the hands of the end-user, but it all starts with the design of a product, making the CAx system a key factor. In Siemens' case, the CAD flagship NX, recently launched in its 12th version, is a starting point in the "toolbox," the Digital Enterprise Suite, that contains most of what is needed to realize digital twin concepts. However, this is much more complex than what is suggested at first glance. What follows is a closer look at the new version of NX and its role in working with concepts such as IoT-related and digital twins. There is a lot to cover, so settle in for a long read. The industry’s hype around digital twins is intense. How it will all translate into complete solutions, however, is not yet fully clear. We are at the beginning of the era of the digital twin, with the first "packaged" solutions just starting to materialize. Digital twins are not really new in product development. Even though the dual functionality idea is new, the concept of a digital 3D model with all imaginable information attached to it has been around for at least a decade. 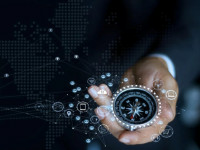 The analyst firm Gartner usually describes “the instrumented thing”—a product that is equipped with sensors, software and other components to be connected to the network—as a building block in the IoT. The digital twin representation—the 3D model—enables all parties involved to follow and monitor the thing and make operational, service and maintenance decisions related to that thing’s context. The digital twin has strong links with PLM. 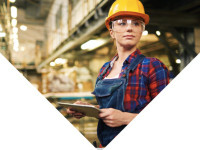 Data from the product in operation in the field can be re-fed to the PLM system and used as the basis for further innovations and improvements. All in all, this “closed loop design” will bring about a change in how these "things" are developed and used. The product development and manufacturing processes in particular will be greatly influenced and streamlined. For example, analyst IDC argues that companies investing in this type of technology during the current and following year will experience a 30 percent improvement in critical processes. 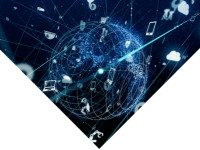 IoT and digital twins are typical of today’s complexity in product realization and operation, and are more complex than they appear at a first glance. This means a series of coupled tools are needed. In Siemens’ case, the “umbrella” is its “Digital Enterprise Suite,” which can be described as a portfolio of software-based systems and automation technologies to seamlessly integrate and digitalize the entire value chain, including suppliers. 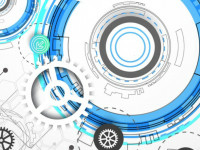 It contains a wide range of tools for realizing IoT (including MindSphere and Omneo, recently re-named “Product Intelligence”) and digital twins (NX CAx tools, Simcenter simulation, Teamcenter PLM backbone and Tecnomatix for digital production). 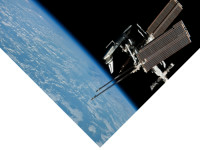 Also, the Polarion ALM solution plays a key role for software development and integration. This portfolio reflects the new need for IT support that has emerged in product development, as well as in manufacturing, operations and as a basis for the new business models. The question is whether a single digital twin will suffice for this. Is the complexity of the twin concept simply too big if you load all possible types of information onto a single twin? Is it more effective to aim to activate different aspects depending on what is being handled? In this context, Hemmelgarn discussed the twin concept as related to three areas. He explained that, to make it easier to use heavy virtual models, a good idea is to activate different pieces of the twin depending on its current task. Why? "One example is that we don’t want the twin to be weighed down by data related to the manufacturing process when we’re dealing with optimizing its operation,” he said. ACTIONABLE IMPACT IN THREE PHASES. “We believe in a holistic approach that, with intelligent models and a closed-loop digital thread, leads to insight with actionable impact. 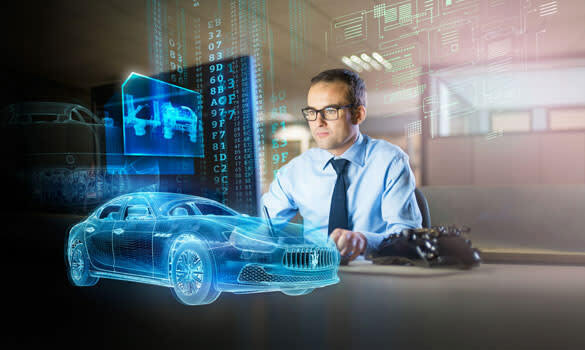 The digital twin’s end-to-end use can last through design, manufacturing, operation, feedback and updates until the physical counterpart’s end-of-life,” said Siemens PLM’s Tony Hemmelgarn in Berlin. The digital thread of the holistic digital twin weaves together the tapestry of information created throughout the lifecycle. Bottom line, however, is that this approach contains massive amounts of data. Is it realistic to include all data all the time no matter what the 3D model is used for in terms of the digital twin concept? “Maybe not,” said Hemmelgarn, and presented Siemens ideas around 3 phases where only relevant parts of data is activated depending on what the purpose is: ideation, realization or utilization. In all three of these aspects—ideation, realization and utilization—simulation plays a significant role, claims Hemmelgarn. 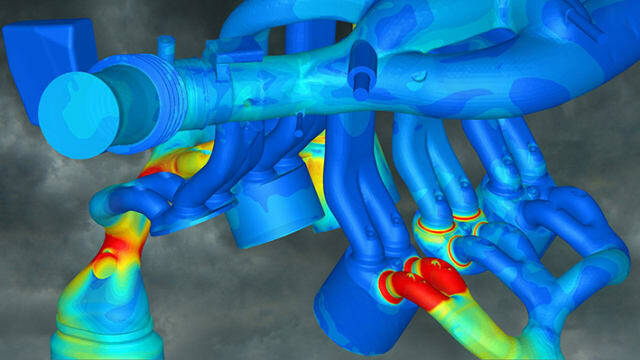 The importance of simulation is constantly growing, asserted Tony Hemmelgarn. This is reflected in the acquisitions Siemens made during the last couple of years. CD-adapco is one of them, and the $970 million they paid is a clear indication of how highly the company values the capabilities CD-adapco offers. In terms of IoT and digital twins, the software can be used to find out why a product is not acting as expected by feeding data back to the digital twin and analyze this against the intentions of the first design, and then making the necessary changes based on the analysis. 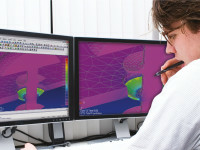 In the image: Analysis of in-cylinder flow performed in STAR-CD from CD-adapco. Additionally, Hemmelgarn points at the feedback loop as a key aspect. A SCALABLE MULTIDISCIPLINARY PLATFORM. Siemens marketing director EMEA, Jan Larson, said that, “NX 12 enables realizing the value of the digital twin.” He also claimed that Siemens CAD flagship actually is the only scalable multidisciplinary platform available in the market today, uniting electrical, mechanical and control systems through close integration with Mentor Graphics Capital Harness and Xpedition. The documentation of IoT and digital twins begins with CAD and CAE/simulation tools. Jan Larsson, Siemens marketing director, believes NX 12.0 has all the required solutions for "next generation design, simulation and manufacturing solutions that enable companies to realize the value of digital twins." NX is intended to support system driven product development, based on the Requirements, Functional, Logical and Physical (RFLP) methodology. This links the logical and physical abstractions within both the electrical and mechanical domains. 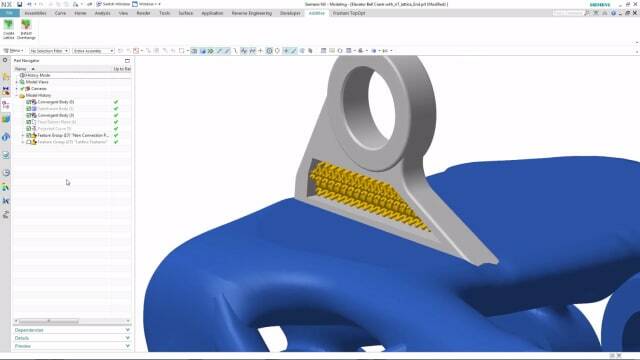 NX 12.0 combines design optimization tools, advanced geometry generation, freeform creation and parametric design to realize generative design. Here, the company's "Convergent Modeling Technology" plays the lead role, and enables designers to seamlessly model mesh patterns in combination with precise geometry. 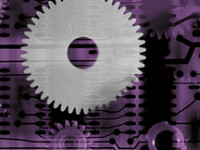 Behrens noted that NX, with the integration of Mentor's Electronic Design Automation technology for electrical and built-in systems and the fast-paced integration of electrical systems, cabling and PCB elements, provides users with a range of tools that covers more than the competing solutions. "This is very valuable, especially for users in the automotive and aerospace industry," Behrens concluded. MENTOR FILLED A GAP. The recent acquisition of electronic design automation (EDA) software leader, Mentor Graphics, filled a gap in Siemens’ software portfolio in one stroke. This made it possible to integrate advanced electronic systems and Integrated Circuit (IC) design tools into Siemens’ suite of solutions; a work that has already materialized in NX 12.0. Electronics and software are becoming the deciding factor in virtually all products, regardless of industry. Of course, this makes it more important than ever that mechanical, electrical and software designers collaborate throughout the product development process. This highlights the importance of Siemens's acquisition of Mentor Graphics, as previously reported by ENGINEERING.com. In NX 12.0, a direct connection between the design of electrical/electronic and mechanical systems has been developed. By linking the electrical and electronic tools with the 3D model, processes with cross-tests enable collaborators on wiring diagrams and networks to work closer together with the mechanical side. This is obviously important in an area where recasting due to electromechanical problems is not uncommon. Now, it’s important to note that multidisciplinary collaboration is not limited to electrical engineering or PCB design. “Embedded technology is constantly growing in scope and importance. As the complexity of the products increases design teams need to coordinate, and make systems of systems work. That means the tools used are more important than ever. Multidisciplinary capabilities are crucial to achieving this objective,” said Bob Haubrock, SVP at Siemens PLM. "With the latest version of NX, we offer a platform filled with technologies that allow you to combine mechanical, electrical and control systems. Close collaboration between each of these design aspects eliminates errors, delivering time and cost savings, and enabling our customers to spend more time on innovative design solutions,” Haubrock added. LIGHTER AND STRONGER. With the rise of 3D printing in product development, Lattice structures will become paramount. Lattices are complex geometrical structures used to lightweight and strengthen components. They give structural integrity to designs while reducing the amount of materials used in the finished product. In NX 12.0, there's a new Lattice command which introduces a way to automatically generate these structures within the parameters set. The result is, according to Siemens, "a lighter, stronger design." The Lattice command even works on topology optimization results. Weight reduction carries with it several benefits. In the automotive and aerospace industries in particular, lighter components mean reduced energy consumption to accelerate and drive vehicles and aircrafts. This has resulted in a number of interesting design solutions, often involving new materials. These lighter components can be given extra strength through new structures on both the micro and macro level. In the latter case, lattice structures have become a more viable path. To support these new structures, Siemens has developed tools in NX 12.0 that can optimize the grid structures to meet this goal without compromising on strength and structural integrity. In NX 12.0, there are new ways to work with lattice structures, including the ability to add a grid. Siemens’ Convergent Modeling technology makes it possible to work directly with faceted geometry like these grid structures, enabling companies to skip the extensive data conversion process that is usually required. In summary, this means that you can create lighter, stronger products in a much shorter time. "CAN I MANUFACTURE THIS?" One important aspect of the digital twin concept is about manufacturing. In this context physical commissioning is time-consuming, which is a good reason for virtual commissioning. 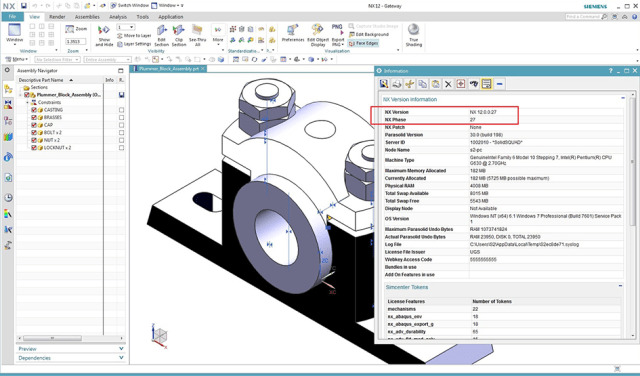 With NX 12, users are able to answer the question: “Can I manufacture this?” related to virtual commissioning capabilities. You can create a digital twin not only of the product, but also of the manufacturing process. 1. NX is deeply integrated with the Teamcenter PLM suite, which is the backbone that holds everything together. 2. NX has the ability to support the design of mechanical hardware. non-integrated, newly purchased solutions, such as those from TASS International (crash tests and a number of automobile solutions) and Infolytica (electromagnetics). 4. Electrical and electronic capabilities in Mentor mean good integration to advanced electronics design within the framework of NX. “A PERFECT PORTFOLIO FIT.” Siemens bought Mentor Graphics as part of its Vision 2020 concept to be the benchmark for the new Industrial Age. 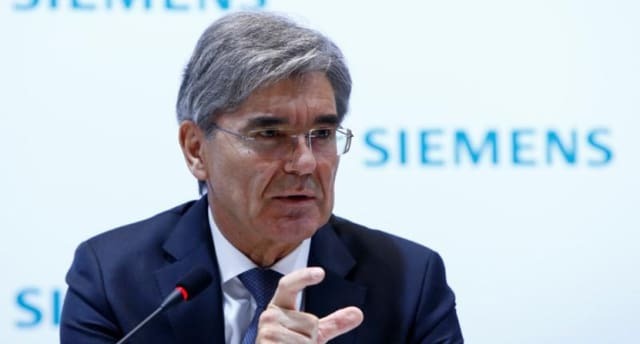 "It’s a perfect portfolio fit to further expand our digital leadership and set the pace in the industry,” said Joe Kaeser, President and CEO of Siemens AG. "It will complement our strong offering in mechanics and software with design, test and simulation of electrical and electronic systems." The latter—electronics design integration—is especially important. Before acquiring Mentor Graphics, Siemens had a weak spot when it came to creating electrical and electronic functionalities seamlessly within the company's own platform. Mentor Graphics changed that in one stroke. This solution has provided a broad set of tools for electronics design and wire harness with Capital. The package includes solutions for PCB design, simulation and data management through Xpedition, with a comprehensive set of Integrated Circuits (IC) design tools. The software also offers good validation and verification capabilities. 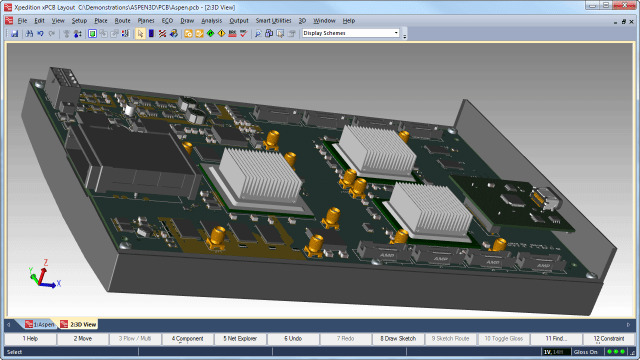 In short, as analyst Chad Jackson wrote in a blog post titled “The Siemens PLM Vision: Creating a Complete Digital Twin of the Product,” Mentor has been able to add depth to the design of electronics, which matches Siemens PLM's depth in the field of mechanical engineering. But Mentor can offer more from its treasure chest to support digital twins: software development. When it comes to generating code, Mentor software supports the development of real-time operating systems (RTOS) and chipsets that are usually associated with embedded software and control systems. There is support for several integrated development environments (IDE) because there are many combinations of RTOS and chipsets that require custom compilers and testing. There are also development tools for creating user interfaces that go beyond control systems. 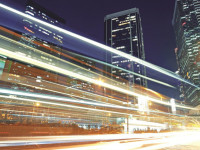 Polarion is Siemens’ ALM solution (Application Lifecycle Management) connecting teams and projects. It is a tool for application development processes based on a single, unified solution for requirements, coding, testing and release. “In all, a critical component of ALM within our digitalization strategy,” said Tony Hemmelgarn. When it comes to developing the software that goes into a product, one of the biggest challenges is to ensure that the application will run correctly on its electronic hardware. Here, Siemens LMS provides a good solution in the form of Imagine.Lab, which allows users to run a model-based development methodology that supports the in-the-loop development and testing of the software and the hardware. There’s a lot to keep track of, but the good news is that a systems technology exists that can support the data and processes. Siemens PLM’s Teamcenter offers the toolbox needed to handle the different aspects of product RFLP. Ideally, the result of this is a digital copy of the value chain: a digital twin. Simulation, testing and optimization in a completely virtual environment allows for reduced time to market, and increased flexibility, quality and efficiency. 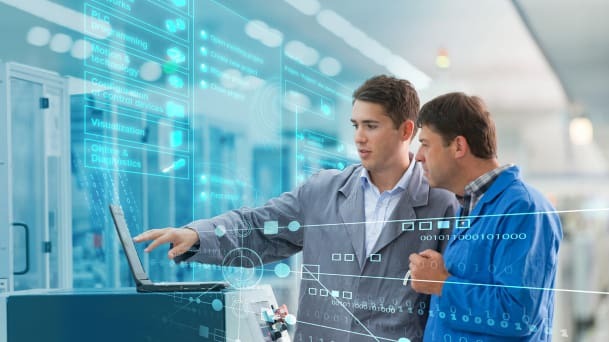 With the Digital Enterprise Suite, Siemens integrates PLM, MOM (Manufacturing Operations Management) and manufacturing automation (Totally Integrated Automation - TIA). Teamcenter is the backbone that holds all of this together, as well as connecting to MindSphere, the cloud-based, IoT operating system. Bottom line: the capabilities provide traceability from one end of the network all the way to the other. “As a result, the entire organization gains visibility into the implications of changes, from one end to the other,” claims Chad Jackson. ONLINE MONITORING. A reliable cloud infrastructure is a foundation for IoT and digital twins. In Siemens’ world, this is provided by MindSphere. It’s an open system based on the SAP HANA cloud platform, and enables users to develop, extend and operate applications in the cloud. OEMs and application developers can access the platform via open interfaces and use it for their own services and analyses – for instance, for the online monitoring of globally distributed machine tools, industrial robots or industrial equipment such as compressors and pumps. Equipped with sensors, electronics, software and antennas, today’s “smart products” tend to be sold as services rather than products. With their communication capabilities, they can be monitored and, for instance, be subject to predictive maintenance. Machinery, cars, tires, airplane engines and more will be able to notify their operators when parts need to be replaced before breaking down and incurring expensive downtime. The scenario is staggering because the possibilities offered by both IoT and digital twins seem endless, both technically and commercially. This naturally leads to a massive volume of data flowing into cloud-based databases from the sensors in these mechatronics products that all needs to be handled, analyzed and prepared to be useful for operational optimization and predictive maintenance. This brings us back to one of the final stages of Siemens concepts of IoT and digital twins: MindSphere. Mindsphere is a scalable cloud Platform-as-a-Service (PaaS) that—according to Siemens—is “perfect for developing apps.” Designed as an open OS for the Internet of Things, MindSphere allows seamless connections with machines and physical infrastructure, and connectivity between data-based services from Siemens and third party providers. It also makes it possible to create and integrate the user’s own apps and services through MindApps. In simple terms, you can say that MindSphere is the tool for plugging in IoT sensors and collecting information such as operating data. The connection to the equipment or product that you want to monitor is done through existing integrations or through the open and generic toolbox Siemens designed to handle all types of connected products. 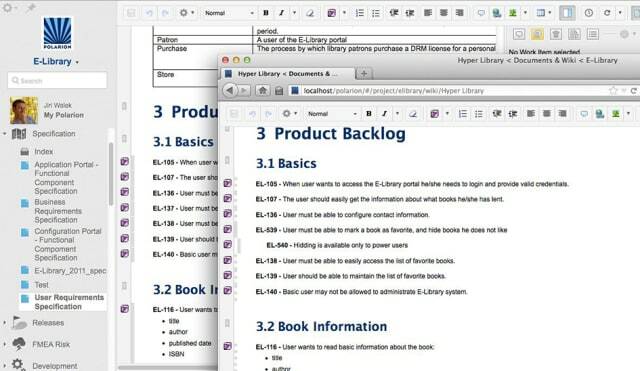 Once the data has been collected, you need tools to refine and analyze the sometimes very large amounts of information. "Big data analytics" is a common term to describe this part of the product development process, and Siemens has Omneo, recently renamed Product Intelligence, as their solution. “Through this solution, you can analyze data in real-time to compile reports, show operational information, anticipate service needs and more,” asserted Nordlander. It is extremely complex to get a digital twin concept together into a working whole. Analyst Marc Halpern of Gartner, said, “I find that there is often what can be described as a naiveté about the opportunities for cost and time to achieve this." 1. CAD is not, as has often been argued in recent years, just a staple or commodity; it is a strategic resource that must be able to relay information to a variety of other functions in development, manufacturing and in use. 2. Simulation will be needed in all phases of product development and in all later phases of the product life cycle, even when the product is in the hands of the user. One example is simulating a facility to optimize it for operation. 3. A PLM/PDM system becomes increasingly necessary to structure processes and product data. It becomes the backbone that links product development, manufacturing, distribution and data retrieval for new innovations and management of the entire product life cycle. So, how close to realization are digital twins? A digital twin is not just a 3D model. Digital twins can control the "thing" ("thing" as in the Internet of Things) it is a representation of. A digital twin is a virtual model of a "thing." Each physical thing has at least one unique twin. A digital twin has an identity and context in which it should work. A digital twin monitors, requests state/status and receives status information. A digital twin can simulate the real physical "case." A digital twin includes analysis, regulation, prediction and algorithm solutions. Overall, Halpern claimed, "it is extremely complex to get all this together into a working whole, and I find that there is often what can be described as a naiveté about the opportunities for cost and time to achieve this." He noted that the twin discussion mainly circulates around “the individual digital twin” in operation, “Which is fine”, he said. “However, there are many complicating additional aspects to observe”. Halpern also mentioned that the twin must be able to work in different contexts in product development, system engineering and manufacturing - where the digital twins are to interact with other digital twins, such as the digital twin representation of the production line. Also, there are still a number of problems related to real-time capabilities in different software. On the other hand, who said that new ideas can be carried through to the plateau of productivity without problems? Opportunities are always accompanied by obstacles, and before you can enjoy the fruits of progress, you have to work your way around them. “That’s true,” said Eric Schaeffer, a global industry director at Accenture “A client with whom I work closely said it well: ‘Ready or not – it’s happening.’ If you want to be a part of the new world, you need to try. Experiment and launch as many pilots around ecosystems analytics as you can, across the whole enterprise, not only focused on manufacturing. Look at sourcing, look at R&D, look at business support functions. Try out all these initiatives and find out which one works. If they work: scale. If they don’t: move to the next idea. It’s all about rapid experimentation and agility,” Schaeffer added. I think he’s right, and no doubt the solutions offered by Siemens PLM to support digital twins is one of the best on the market. It may not yet be perfect, but they have reached further than most players when it comes to capturing the full digital representation of products across mechanical hardware, electrical, on-product software, connections to IoT, off-product software and systems support. There’s more to do, yes, but it’s a good start.